Each of our contributors was chosen for their ability to add quality content to the members of LegionSignals. Enjoy their content, leave a comment or ask a question. 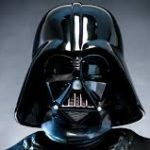 Darth Vader is a dark lord of the Sith and known for his force choke and poor sense of humor.